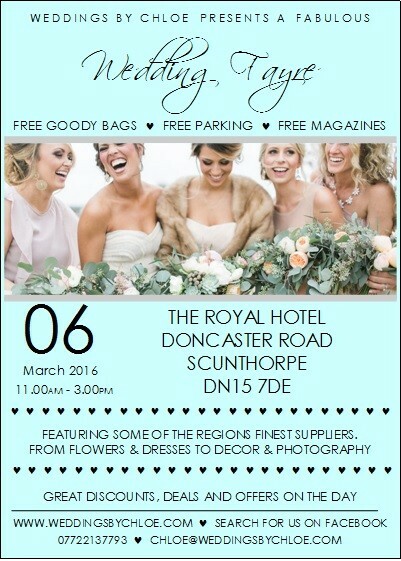 The Royal Hotel Scunthorpe Wedding Fayre will take place on Sunday 6th March 2016 (11am – 3pm). Free Entry, Free Goody Bags, Free Magazines! Bringing some of Lincolnshire and Yorkshires finest suppliers together. We were formally at Glanford park but have now moved to a bigger venue and promise to bring you a brilliant fayre! Please ensure you let us know you are attending on our facebook event page to ensure we have enough goody bags and freebies for you all!